Retail complexity continues to grow with omni-channel demands. Our clients are faced with increasing customer expectations, legacy systems that can't keep pace, and data visibility and integration issues that threaten the brand and more. The right strategy and solutions are critical for unifying commerce, optimizing fulfillment, delivering frictionless customer experiences, and sales growth. 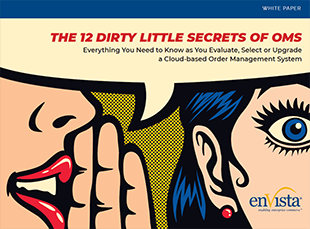 The "Dirty Dozen" - the twelve secrets of OMS you need to know!